There’s something so genteel about a mailbox. Think about it. When you picture it, it’s in the vestibule of a turn of the century apartment complex. Or perhaps, it’s at the beginning of a long driveway, leading to a stately home. Maybe the mailbox is painted white, perhaps it is a shiny brass… once you start thinking about it, the possibilities are endless. If you’re looking to really give your residence a makeover, a mailbox has to be part of the plan. You’re wrong if you think that you need a mailbox only if you have mail. Today, the concept of the mailbox has gone far beyond that and now serves as a talking point and reflection of style and sensibility. Which means, no longer are these letterboxes plain and utilitarian. You can choose all sorts of designs, from the classic look to an old-fashioned Victorian piece. Perhaps you seek to mount the mailbox on a pedestal or to create a slot in the wall for ease of use. If you’re trying to save space, then instead of going in for residential mailboxes with posts, just consider a wall mount mailbox. This one works for any kind of property, commercial or residential, educational institutions and those of the government and is great for those who get their letters right at the door. This option is also great when you’re staying in a huge space with many inhabitants. 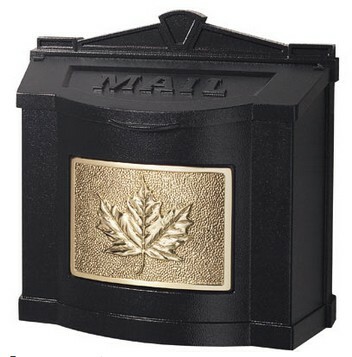 For instance, if there’s a mailing supervisor who needs to sort out mail and then distribute it, then a recessed wall mount mailbox is ideal, one push and the mail lands inside the home. The mailbox can go anywhere, any flat surface, doors or walls. You can keep it simple with just a door and no lock, or go in for a locking mailbox for added safety. In fact, if you run a business from home, a locked box makes way more sense. You can access your letters from the top of the postbox and with your key, you ensure that only you have access. Choose from all sorts of materials- brass, steel or aluminum, depending on the look you’re going for. You may also decide to paint it in any color of your choice for some uniqueness. If you think the mailbox does only that; collect mail, you couldn’t be more wrong. They can be used for the newspaper as well. If you’re unsure of what kind of letterbox you need, do ask some experts for advice. They will take all factors; frequency of mail, dimensions of property, etc. to help you make an informed decision. The appeal of the wall mount mailbox lies in its incongruousness. If you stop to consider this, there’s no practical requirement for it to be there, anywhere. We have email and text and phone calls. Yes, people prefer to write letters and send cards, but they can be dropped off at the door step. So what else is the appeal of the mailbox than to make everything beautiful? An idea that’s been around for centuries must have something to make it stick around. That’s the beauty of the mailbox.